Our Cloud Email Archiving in Singapore helps businesses of all sizes with legal compliance, backup and monitoring of all incoming and outgoing emails in our secured facility in Singapore. It is fully compatible with Office 365 and any email hosting servers that you use, which requires no investment into server hardware or licensing. With email archival, you can securely backup, manage, recover and protect all your important email. 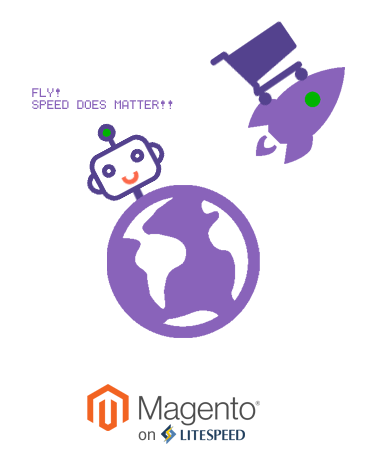 Let's make your Magento eCommerce FLY with us! We use LiteSpeed Lite Mage Cache Technology on our Magento hosting platform. The objective? To accelerate your Magento eCommerce with significant speed up of page loading time than the traditional web hosting servers. The technology supports both Magento 1.x and 2.x! Expecting a surge in traffic? No worries! Every Managed Magento Hosting plan comes with 100 Mbps Unmetered Bandwidth, which is more than enough for any occasional flash sales or promotional offer your eCommerce business needs! There is also fair use policy to protect you from network abusers! Enjoy the peace of mind with our latest Intel Xeon processor, high-speed RAM and high performance Enterprise Solid State Drives (SSD) server hardware. Our highly experienced support engineers are standing by 24x7. Let us help you sort out the problems you face with your Magento eCommerce! Already using email archiving solution? Let's get in touch with us to find out how much cost savings you will enjoy switching to us and let us help you migrate over, completely hassle free! Is your Email Archiving compatible with my email server? Yes, our Email Archiving works with Office 365 Email, any cloud-based email hosting servers, cPanel email servers, SmarterMail servers, including any on-premise email servers such as Microsoft Exchange. In short, it works with all email servers! You get Unmetered Space for every mailbox! There is virtually no limit / unlimited space for the email archiving service. The purpose of email archiving or backup is to ensure the email is there during any emergency occasions therefore having Unmetered Space is the only way to make sure you do not have to delete any emails to free up space, only to realise that the email you want has been accidentally deleted! Is my email safe with you? Yes! Our server and storage solutions used for Email Archiving is physically located in a secured Tier III datacenter facility in Singapore. For every customer who signs up for the email archiving service, we will create a virtual instance for them, which separates important email data from each customer. And finally for all the emails that are stored within these virtual servers, we use SHA hashes and apply AES256 encryption to email texts and file attachments, thereby making it only accessible to you who have the access password to these mailboxes! Do I need to buy any server or software licence to use the service? Absolutely no! Our Cloud Email Archiving eliminates any upfront investment cost needed to start using the service. The email archiving software interface is so user friendly that we believe you and your email users know how to use it without any training required! Why SecureAX Singapore Cloud Email Archiving? Find out what do some customers say about us!